The swish look and charm of the bangle makes it good for carrying to any official functions or family get along. 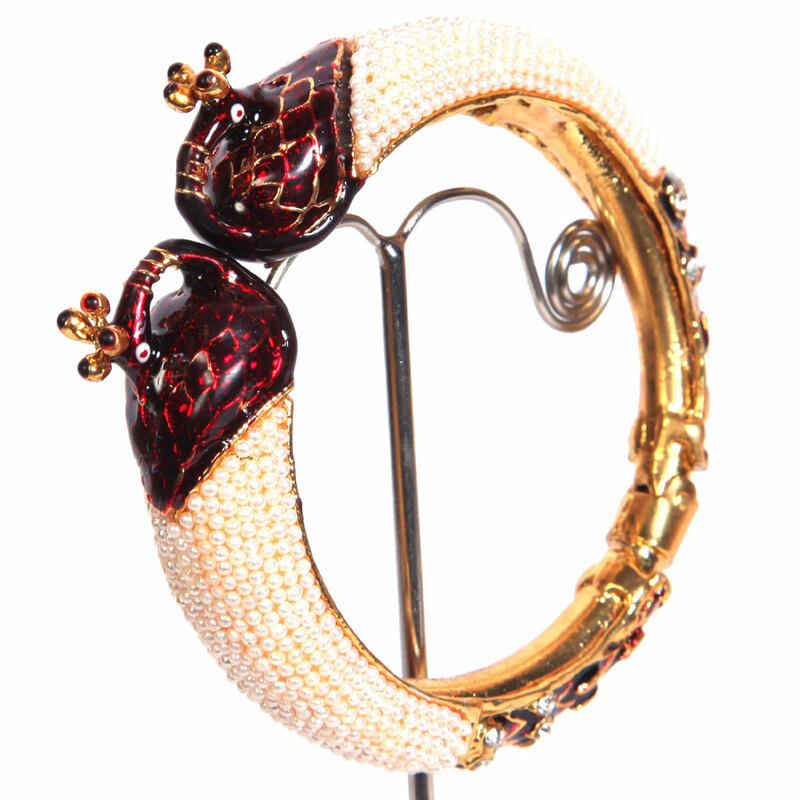 The red peacock heads of this designer bangle are beautifully complimented by the white pearl stone tails that extend almost up to the halfway mark Read More..of the bangle. The graceful look and appeal of the bangle makes it perfect for wearing to any official functions or family get together. Show Less..